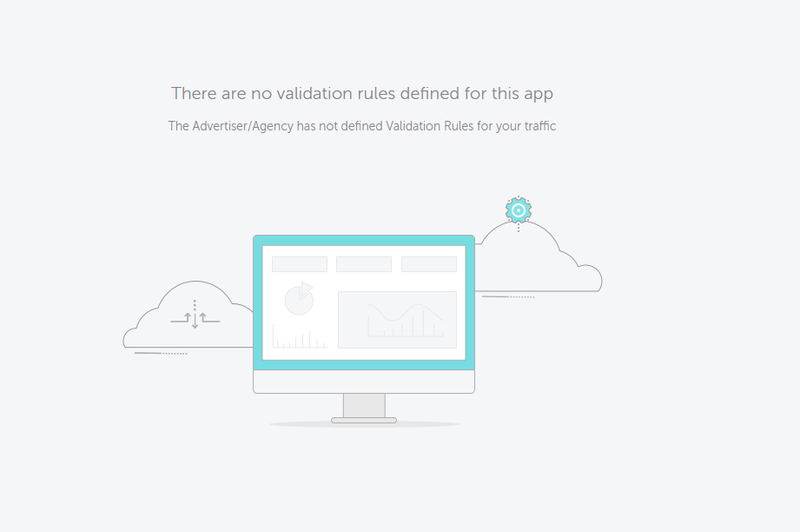 Validation Rules allow advertisers to define a set of rules that validate installs. 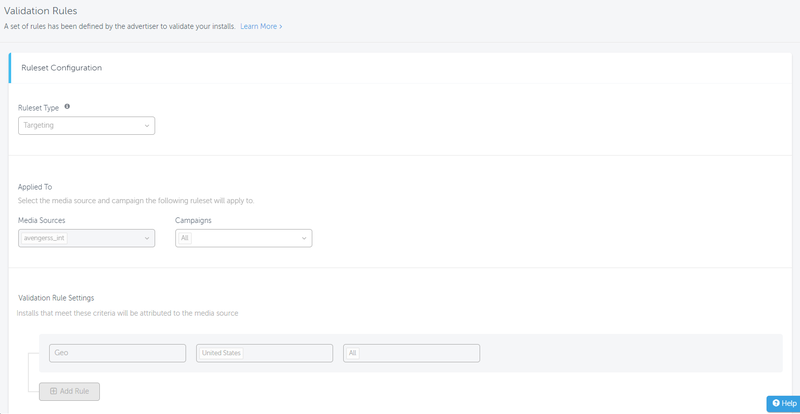 Networks are able to see all validation rules affecting their campaigns, by following the steps below. If no validation rules have been defined, the following screen is displayed. Ruleset Owner The name of the ruleset owner with a link to the ruleset configuration page. The owner can be either the app owner or one of the agencies that worked on the app on behalf of the advertiser. The ID is a self-generated Ruleset ID that appears in rule Validation Raw Data Reports/Blocked Install Fraud Reports and the invalid install postbacks. Ruleset Type The ruleset type configured, either Targeting or Protect360. Campaigns* Shows the campaigns to which the ruleset is applied. * Visible when the option is expanded by clicking the arrow. The Applied To field, displays the media source and campaign that the ruleset applies to. The Validation Rule Settings section, displays the installs that meet the criteria to be attributed to the media source. The Rejected Reason and Rejected Reason Value fields are populated in the Invalid Installations Report. 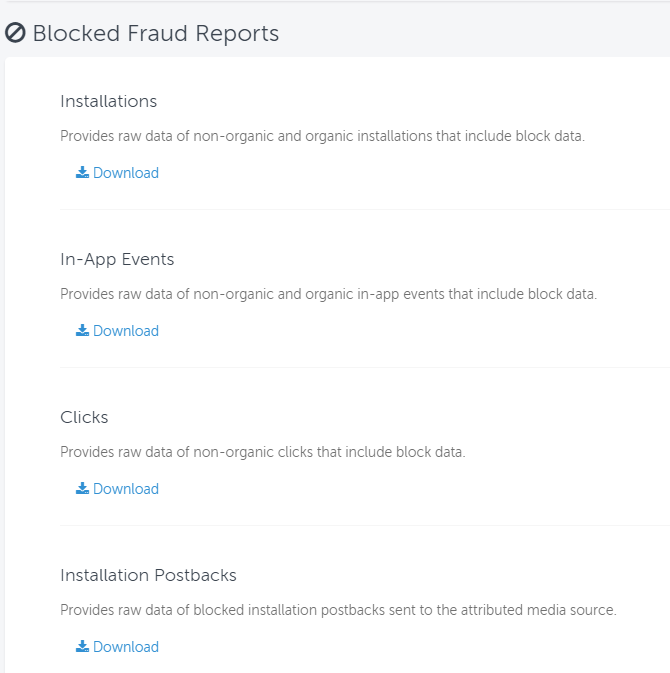 The blocked installs as a result of Protect360 Validation Rules can be retrieved from the Blocked Fraud Reports, directly from the Export Data page. The Blocked Reason and Blocked Reason Value fields are populated in the Installations Report. 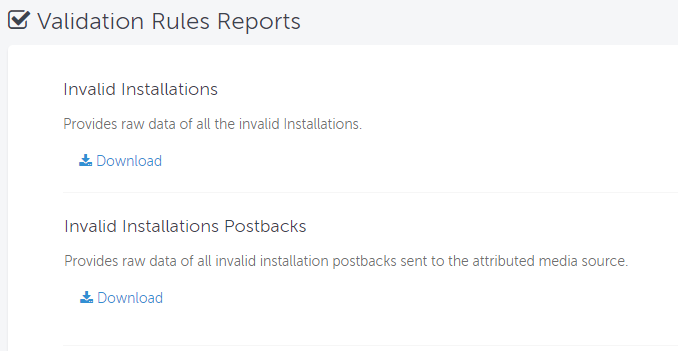 A network can integrate with AppsFlyer and receive rejected install postbacks in real-time each time an install that should have been attributed to them, is rejected due to validation rules. Contact your Partner Development representative for further details.